Get hands-on guidance designed to help you put the newest .NET Framework component- Windows Identity Foundation, the identity and access logic for all on-premises and cloud development- to work. Vittorio Bertocci is a Senior Architect Evangelist in DPE and a key member of the extended engineering team that produces Microsoft's claims-based platform components (e.g. 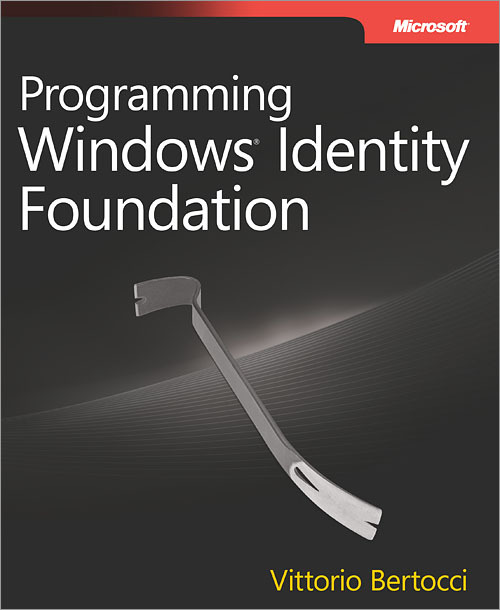 Windows Identity Foundation, ADFS 2.0). He is responsible for identity evangelism for the .NET developers community and drove initiatives such as the Identity Developer Training Kit and the IdElement show on Channel 9. He is co-author ofUnderstanding Windows Cardspace(Addison-Wesley, 2008) and a prominent authority/blogger on Azure, "Geneva" (the code name for Windows Identity Foundation), .NET development, and related topics. View Vittorio Bertocci's full profile page.